Those of you have read this blog or my other, CraftTherapy, know that I belong to a number of Yahoo Groups. If you haven’t ever checked them out, you may want to consider seeking out some crafty sites that meet your interests. So here’s Yahoo Groups 101: visit their home page, and then type in your favorite craft into the search bar. Up will pop a list of existing groups that serve you interest. For example, I’m a polymer clay fan. I found City-O-Clay and Clay-Polymer. But if you have a SPECIFIC polymer interest, like foods or minis or jewelry, well, you can find that, too. If you’ve never joined a YG, there are some great reasons to. First off, you are instantly connected with a social network of folks who are passionate about the same craft/art/stuff as you. Secondly, may groups offer challenges or swaps to get your juices flowing. And all of them (I dare say) have a photo option so that you can share your creations with others. There are also “files” sections, usually jam-packed with great info, and links to members sites/blogs or other places that can help you learn and grow in your craft. Keep your signature line to 3 lines. ALWAYS snip your replies. Please. Really. Change the subject line if you change the subject. Be aware of group rules (see above.) 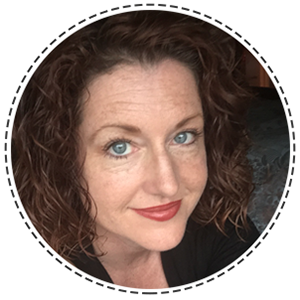 Each moderator has their own, and usually they send you a file with other do’s and don’ts. That being said, go out there, get yourself a virtual social network, and have fun! 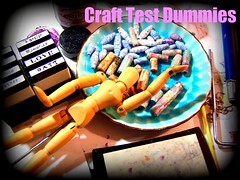 PS… joining my CraftTestDummies Ning site is alot like a YG, too… but you get you own homepage, photo page, etc. Why not check it out, too?